The Block Glasshouse – Who has the best apartment? The Block Glasshouse will soon be wrapped up. The contestants work away on the sixth apartment in hopes of lowering their reserve, but their own apartments are done. Now that they are finished, is there one that stands out for you above all the rest? Do you think your fave will win come auction day? I'd have to go with the boys, Shannon and Simon's place. Although I would have to change out the art in the living room - it doesn't do it for me at all - and the hanging plants on the terrace. Other than those two things, I really love their apartment. 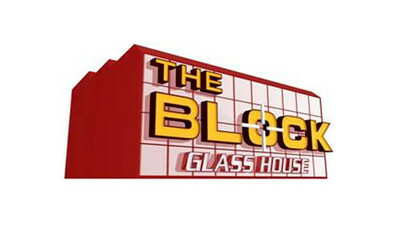 The Block is a renovation reality show. It's also a contest between the contestants of the show. There are usually 4 or 5 pairs of contestants - often couples with a token sibling pair tossed in. The teams must live in and renovate a dilapidated building or row of town homes; this season is an old run-down office building. The teams are given a cash budget, and a bunch of vouchers for building supplies. The teams are assigned a room to complete each week. At the end of the week all the rooms are judged and the winning team gets additional funds added to their budget. Once the building is complete, all the units go up for auction with the teams keeping all the profits above their reserve price. The team with the most money above reserve wins The Block and gets another hundred grand on top of their auction earnings. That sounds like a really show. I wonder why it is called The Glass House though. Although I wasn't a fan of them, I though Dee and Darren had the best apartment. It was absolutely flawless and had such a lovely style. I thought all the apartments had some nice rooms but I liked Michael and Carlene's apartment best. To Soap Opera or not to Soap Opera? True Blood Spin-off called Midnight, Texas has been ordered by NBC, what do you think? Spoilers, love ‘em or hate ‘em? Are cable providers in your area starting to offer TV and movie streaming services? If you could be an extra in any Star Trek series, which series would you pick? Fox sells superhero rights back to Marvel, but what does it mean for the MCU? What was your favourite movie released in 2015?